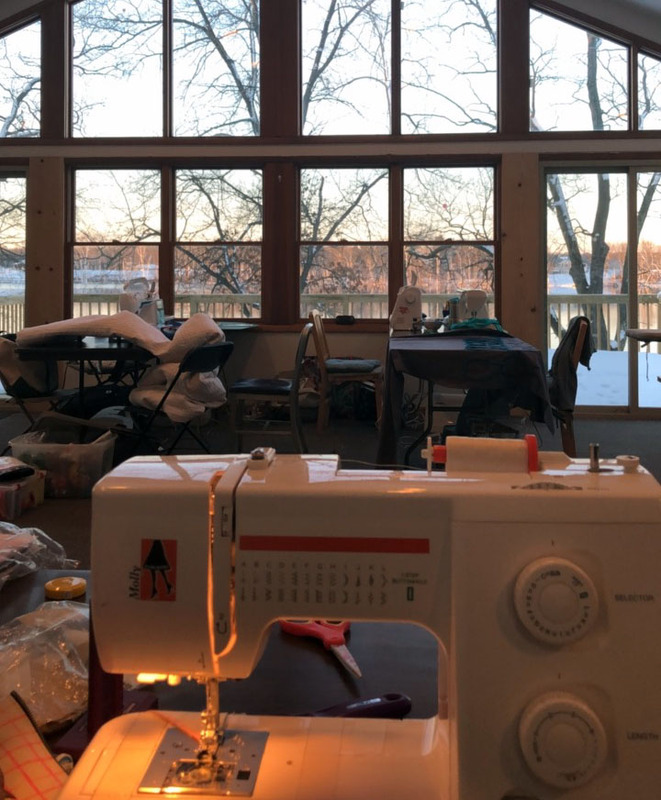 Blotch and Thrum: At the Retreat! 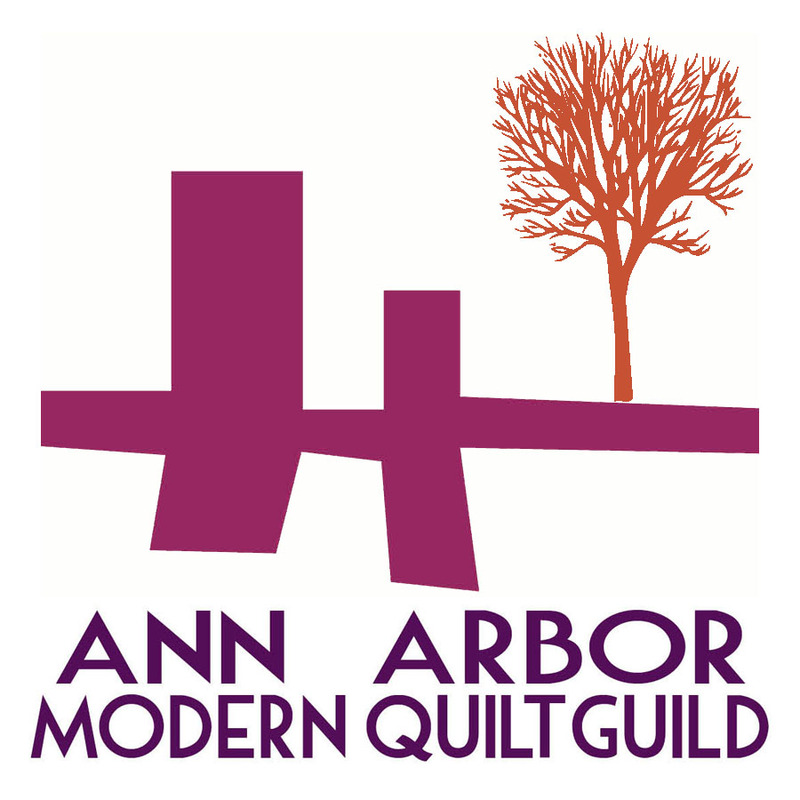 Recently, one of the guilds I belong to, the Ann Arbor Modern Quilt Guild, held its winter retreat at Howell Nature Center. Our winter retreat has been in January for as long as we’ve had them, and I petitioned the board to change them to spring, mostly because, we do live in Michigan and at least one or two of these winter retreats had to be disbanded early so that members could get home before a blizzard arrived. Of course, we had a blizzard in March this year, the day before we were heading out, but as bad as the roads were Thursday night, and they were really bad, most of that was melted by Friday afternoon. And it also melted out of the trees onto the roads and our cars like someone was tossing rocks, but anyway. The view from my machine. The view from the large room was lovely, the facility itself was called Lakeview! And the food was provided by the staff there, brought to our cabin, so we didn’t have to do anything or wander offsite at all. It was all very nice. Although not very restful, as I was the last person to bed each night, and while maybe not the earliest riser, I was not the last one to sleep in either. 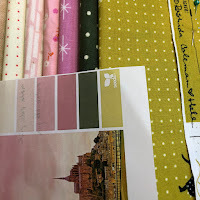 But chocolate keeps me sewing, and who needs sleep when you can sew all night? 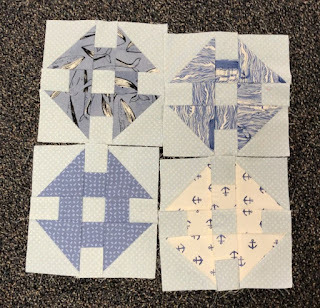 I finished piecing the blocks for that endless doublewrench quilt. I have been working on it since at least the summer. I finished piecing the blocks for this Irish chain quilt (not pictured) that I am working on for my monthly charity quilting group (which hadn’t met for months because of blizzards, speaking of blizzards!). On Point looks awesome but hurts the brain. 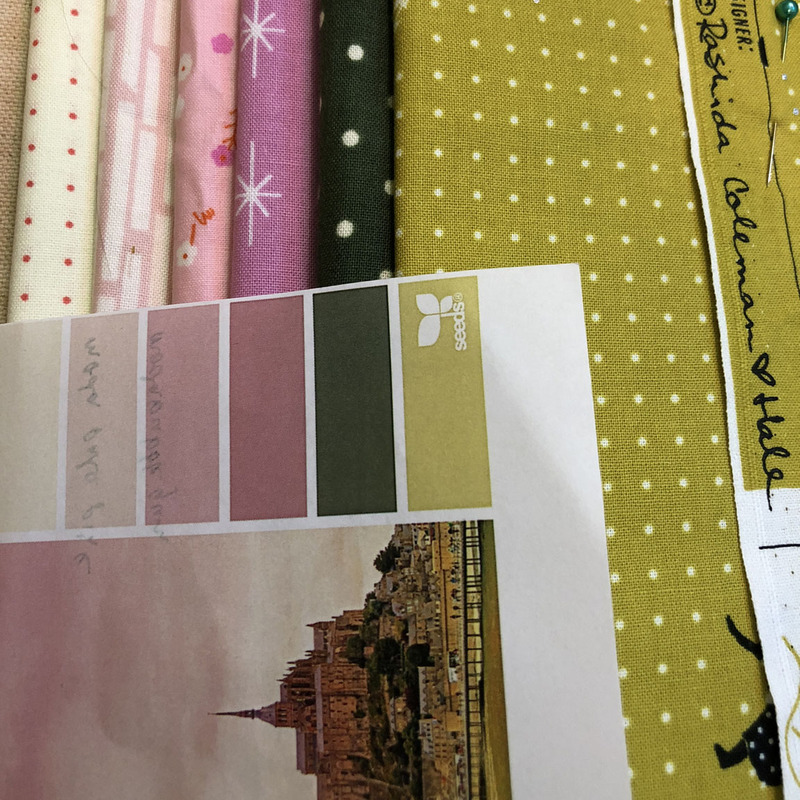 Sample of the color palette challenge. Though not my colors. 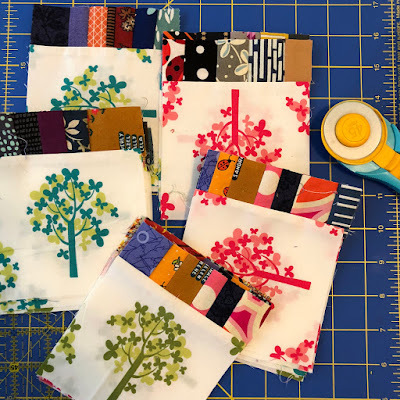 I pieced a miniquilt top for the upcoming guild challenge, which I will share later. 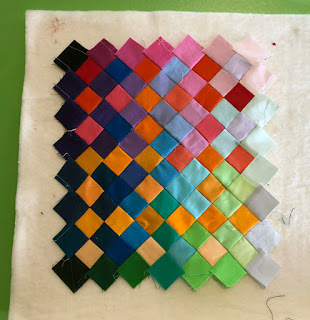 It’s a color challenge, we drew a color palette from a bag and have to use those colors (and maybe a neutral if you don’t have one) to make a quilt of any size. 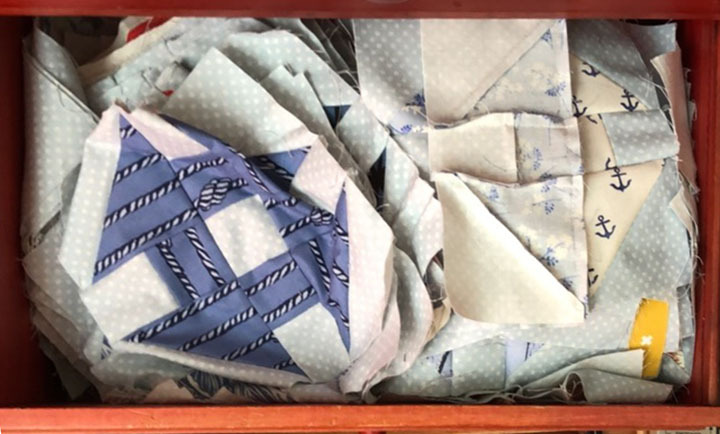 And on the last morning, I put some work into the scrap quilt I started in Amanda Jean’s class with our guild in October. I did not work on the bag I meant to make at the retreat, but I think I got to everything else. Since coming home, I still haven’t made that bag. It sits in a pile glaring at me. But I quilted and bound my challenge mini, I got the Irish chain blocks into a top (still need to make a back for that), and I have continued to work on the Amanda Jean quilt, Ring Me. And I smooshed all my Doublewrench blocks into a drawer, because I can't face another on point project right now. A view of said drawer.